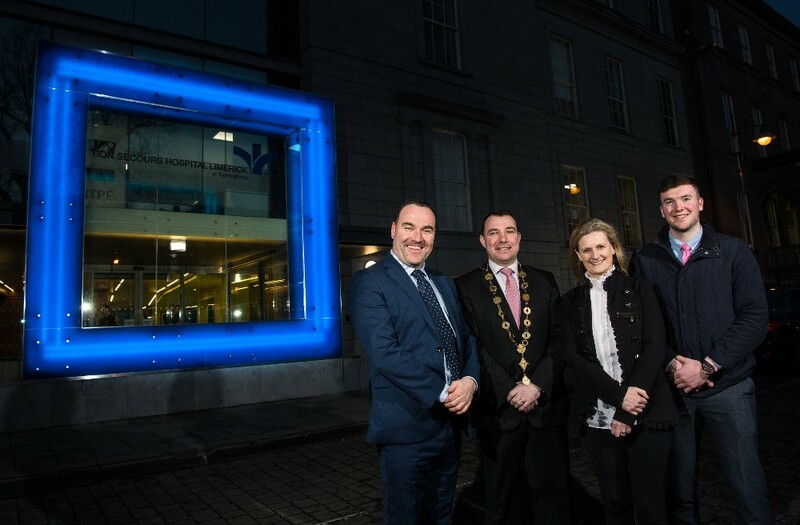 Monday, 18 February 2019: Bon Secours Hospital Limerick at Barringtons has today unveiled a major new facelift for the city’s oldest hospital with the opening of a new entrance reception and associated facilities. The new 2,500sq ft area, which was opened by Mayor of the City and County of Limerick James Collins and Limerick senior hurling captain Declan Hannon, significantly enhances the hospital’s accessibility by relocating the entrance, reception and admissions and a new oratory to street level from the traditional stepped entrance. Part of an overall €6m spend on the hospital since the Bon Secours Health System took over the facility one year ago this month, the investment reaffirms the patient-first approach of Ireland’s largest independent hospital group. The €6m investment programme will also see enhancements across radiology, theatre, endoscopy and ICT units. The hospital had 17,000 admissions of inpatients and day-cases last year as well as thousands more consultation visits. Building on the success of its previous operators, staffing levels at the hospital have also grown by 45 to 180 since Bon Secours Health System came on board.